He is responsible for planning, developing, and coordinating liaison activities between U-M and different institutions including: the executive and legislative branches of the federal government, educational associations, professional societies, and public policy organizations. He also supervises the operational activities of the U-M government relations office in Washington D.C. Additionally, Waring is a former Vice President of the National Alumni Association. 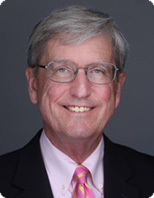 Waring's political experience includes service as Vice President of Government Relations for the National Association of Broadcasters (NAB) in Washington D.C., where he lobbied and worked on communications issues for 11 years. His duties included helping pass major legislation involving cable television, copyrights, digital television, and other regulatory issues. He also was responsible for overseeing the association's political action committee. Before joining the National Association for Broadcasters, Waring served for six years as Press Secretary for U.S. Representative Harold Rogers (R-KY) where he handled all of the congressman's media contacts and communications activity, as well as all legislative issues involving communications. Waring began his career as a TV/radio news reporter and producer at stations in Iowa from 1974-82. Waring has been an active U-M alum. He first served as President of the University of Michigan Club of Washington, D.C. from 1991-93, and later as treasurer on the board of the University of Michigan Alumni Association. Native to Ann Arbor, Waring earned a B.A. in Journalism from the University of Michigan in 1974.